Geometric Shapes can be defined as figure or area closed by a boundary which is created by combining the specific amount of curves, points, and lines. Different geometric shapes are Triangle, Circle, Square, etc. Before we shift our focus to rather advanced and competitive mathematical concepts of geometry and algebra, it is important that you acquire the necessary understanding of the geometric shapes. All of us know about the common shapes in geometry like a square, rectangle, circle, and triangle. Let us get more idea on basic Geometric Shapes. A square is a four-sided figure which is created by connecting 4 line segments. The line segments in the square are all of the equal lengths and they come together to form 4 right angles. 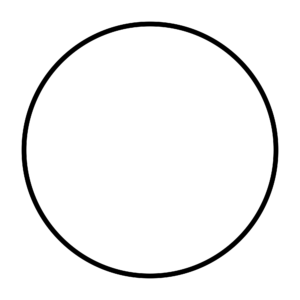 On the other hand, a circle which is another shape of geometry has no straight lines. It is rather a combination of curves that are all connected. In a circle, there are no angles to be found. Similar to a square, a rectangle is also created by connecting four line segments. 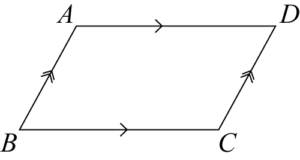 However, the only difference between a square and a rectangle is that in a rectangle, there are two line segments which are longer than the other two line segments. So, in geometry, a rectangle is also described as an elongated square. Also, in a rectangle, the four corners come together to form four right angles. Triangle comprises three connected line segments. Unlike, a rectangle or a square, in a triangle, the angles can be of distinct measurements. They aren’t always the right angles. Triangles are named, depending upon the type of angles which is found within the triangle itself. For instance, if a triangle has one right angle, it will be known as a right-angled triangle. Learn more about Triangles here. However, in case all the angles of a triangle are less than 90 degrees, then it will be called as an acute-angled triangle. If any, one of the angles in the triangle measures more than 90 degrees, then it will be known as an obtuse angled triangle. Finally, there is an equiangular triangle, in which all the angles of the triangle are 60 degrees. On the other hand, the triangle can also be identified or labeled on the type of sides they have. A scalene triangle has no congruent sides. An isosceles triangle has two congruent sides. An equilateral triangle has three congruent sides. Please note that equilateral and equiangular triangles are the two distinct terms for the same triangle. Another in the geometric shapes that you need to know about is a polygon. A polygon is made up of only lines and has no curves. It may not have any open parts. In this case, a polygon is basically a broader term to several shapes such as a square, triangle, and a rectangle. 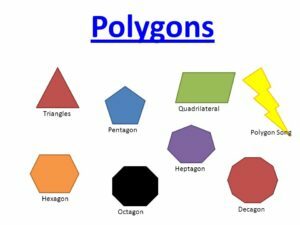 Read more about Polygons here in greater detail. A parallelogram is another in the geometric shapes in which the opposite side of the shape are parallel. To be able to examine, if the sides are parallel or not, you’ll have to closely examine the shape. The key property of a parallelogram is that parallel lines never cross or intersect each other, no matter how long you extend them. So, if you go on extending the lines through eternity and they never intersect each other, then they can be called a parallelogram. Understand how to measure the Area of Parallelogram here in detail. However, if the lines touch or meet at any given point, then that shape cannot be considered a parallelogram. So, a triangle cannot be considered a parallelogram since the lines opposite to a triangle meet at the point of the triangle. And since the lines intersect, it cannot be called a parallelogram. Ans: No a circle is not a polygon since it is created using curves, something that isn’t allowed by the definition of a polygon.